We don’t have many models of patience in our culture -- you know, heroes. We more or less tend to honor the shoot-from-the-hips John Wayne ideal. But I’m wondering -- for those of you who are big movie or TV fans -- which movie or TV character best exemplifies the quality of patience? That is, which character is the most patient? Personally, my favorite patient character is Colombo. 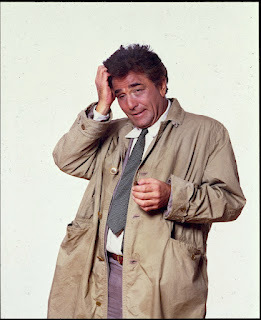 No, Colombo is not a current running series and some people do not know who he is. But the reruns are shown on Me.TV on Sunday evenings. In addition to being quirky, disheveled, and somewhat annoying -- “Oh, uh, one more thing..." -- the cigar-chomping sleuth is so self-confident (not cocky but self-confident) that he never rushes a case. He gently and slowly peels away all the layers of the onion. i can’t remember there ever being a shootout or car chase. Even though he is a high powered LAPD homicide detective Lieutenant Colombo doesn’t even carry a gun. But he always gets the bad guy -- through patience. Now I don’t want to suggest that in order to become patient you need to run out and buy a rumpled trench coat, Peugeot, and basset hound. But I do want to suggest that patient people will always be seen as somewhat quirky for their radical resolve to live unhurried lives. The church had suffered grave injustices -- they were crime victims. They were victims of oppressive government. The rich had taken advantage of the poor and there seem to be lots of poor people. The temptation was to buckle under the pressure and to become judgmental and to begin to grumble and complain about each other -- which would most certainly lead to divisions in the church. Our scripture from James points to the struggle that we all have with patience and waiting – especially in difficult circumstances. No, he’s not talking about waiting for Columbo to solve the crime by giving the bad guys enough rope so that they eventually hang themselves – but waiting for Jesus, who will judge the living and the dead to return. And part of the problem with waiting for Jesus is that we’ve been waiting a long time. We’re tired of the patients running the asylum down here. It’s hard to wait when thing are going from bad to worse. People were taking shots at the church and some of the Christians were having trouble waiting for Christ to come put things right – understandable so. We already know from previous chapters that James was writing to Christians who were going through trials testing their faith. The early Christians were undergoing testing of some sort. Opposition? Persecution? We don’t know the specifics of the testing. And, as I have already suggested, unfortunately, not everyone was passing the test. Many were starting to crumble under the pressure. Some people were becoming territorial. There was prejudice against the poor, bickering, infighting -- extreme lack of patience. Have you ever been stuck on the freeway in a traffic jam? -- You know, almost total gridlock -- and after enough of that when a small opening appears in a lane where there is some traffic flow -- six cars immediately rush toward the opening. The lay on their horns and flip the bird to punish the offeders. Normally thoughtful people start losing their cool. So James is reminding his readers – us – that OUR ASSIGNMENT AS FOLLOWERS OF JESUS IS TO WIN THROUGH PATIENT RESOLVE. By the way this is the key point this morning. We’re to wait patiently for the promised resolution that will certainly be ours at the coming of the Lord. James uses the Palestinian farmer as an illustration. The farmer waits for the early and late rains – early rain is October – softening the parched land up so the seed could be planted. And once the seed was planted it sat there dead -- all winter long. Nothing happened. The wheat and barley didn’t grow until the spring rains in March or April started. All winter long the farmer sat there with nothing growing in the bare field. For half the year he waited patiently for something to happen out there. Patience is hard when you’ve got to wait an exceptionally long time and you don’t see much happening to indicate that the promised fruit is coming. But the farmer wins through waiting. And if such was the case in James’ day – 20 or 30 years after the ascension of Jesus – how much more so for ourselves 2,000 years later. Okay, it would be nice to see a little encouraging sign indicating that Jesus is really coming back as promised. A sprout or two is all we ask, Lord. We’re getting impatient here – and things are not getting any easier. Our brothers and sisters in Sudan are dying for their faith. Things are pretty tough in Pakistan and Nigeria, too. And now we have some of the religious terrorists attacking our relatively safe enclave in the United States. Lord, are you SURE that you’re coming back? Some of us are getting tempted to take matters into our own hands. Give us a word! And just in case you don’t know what patience means, he says, let me get a little more specific here. Sometimes all it really takes is a word of enCOURAGEment. It’s not easy – this waiting for Jesus. Somewhere along the way some of us got the idea that following Jesus and waiting for him was going to make our lives easier – simpler! But that’s not at all consistent with what Jesus told his disciples. Following Jesus requires courage. And that’s because we’re not involved in a passive waiting. We’re busy struggling with the forces of darkness all the time that we’re waiting – constantly peeling back one more layer in the mystery. And there are dark times in all struggles. Take courage, says James, even if nothing seems to be going right. The patient person is a resolute and courageous person. I think of the parents who think they’re going to lose their sanity because their kids are involved with drugs and the wrong crowd – and they have done everything they could do – sometimes making them unpopular. They’d do anything if they thought it could actually fix the problem and relieve the pressure they live under. Or what about the high school girl who is struggling with the pressure to hook up with some guy. Everyone else is doing it. Everyone else seems happy. And it would be a whole lot simpler if I just loosened up a bit. Maybe so – probably not. Perception is not always reality. But the struggle is real. So keep being patient, keep on holding your ground. But just because you’re doing the right thing doesn’t mean that it will all get better and that the struggle will end real soon. But you can hang in there – there is no doubt in James’ mind. Maybe you don’t think you can but you can do it. Hang in there. Then secondly, PATIENT PEOPLE WORK AT GETTING ALONG. I mentioned earlier that the Christians to whom James was writing were having relationship problems. And this is because when you’re under pressure it is easy to take to infighting. This has been an explicit part of the American military strategy in Afghanistan. By offering enough money and incentive, along with some very strong military pressure, the American and British forces more or less loosened the confederation of radical Taliban-type groups -- got them bickering and breaking ranks with each other. And it was a successful strategy until they realized what was happening. During times of struggle and pressure – or to use James’ term from chapter 1 – “trials” – it is easy to implode. And it starts with a little grumbling, which grows into bickering, and then blaming, and eventually can become open hostility. but that in the process of working through our issues we will turn on each other -- eat each other alive -- and implode the republic. Our greatest enemies are not from abroad but from within -- within our own hearts. You don’t have to look for blame. The judge isn’t too far away and if anyone is to blame for the struggle he will take care of it -- in his time. And certainly, you don’t want to be doing things that will draw his judgment to yourself. Now notice, James does not say you shouldn’t ever groan, grumble, or complain. When you’re struggling a few groans are natural – ask Job -- or any of the psalmists. But we’re not to complain, groan, or grumble against each other. You can bemoan your circumstance if you are so inclined but don’t get into the blame game. Quit trying to justify your situation by blaming others. Just let it go. The judge will take care of it when he comes. Then thirdly, PATIENT PEOPLE LOOK TO THE EXAMPLE OF THE OLD TESTAMENT HEROES. There are some wonderful examples of patience in the Old Testament prophets. Don’t think that what you’re going through is new. The people before you had to wait, too. How many thousands of years did they wait for the first coming of the Messiah? And how much did they go through as they courageously waited? I remember a conversation from a D/C (discipleship / confirmation) class that I was teaching to junior high students. We talked briefly about Job. And one of the students told the story of how Job suffered until he repented -- something he had learned in Sunday School. In a sense that was true. But the point of the story isn’t that Job repented, as we might be inclined to believe. He did have to repent of challenging the wisdom of the Lord. But that’s not the point of the story. Nor was his challenging the cause of his suffering. To the contrary, Job was a righteous man and yet he suffered in spite of his rightfulness. Job was a good guy serving the Lord, doing all the right things, and yet he lost his family and his livelihood and even his friends. But he waited patiently for God to make things right. “So the Lord blessed Job in the second half of his life even more than in the beginning. For now he had fourteen thousand sheep, six thousand camels, one thousand teams of oxen, and one thousand female donkeys. He also gave Job seven more sons and three more daughters. He named his first daughter Jeremiah, the second Keziah, and the third Keren-happuch. In all the land there were no other women as lovely as the daughters of Job. And their father put them into his will along with their brothers. The patient resolve of Job finally pays off. And that’s what James is telling his longsuffering readers. Be patient like Job. Don’t give up the ship because of choppy waters. There is a great quote about Job’s longsuffering example from St. John Chrysostom, the fourth century bishop who actually had more than his fair share of suffering, too. I’ve reproduced it in the message guide. In Job’s longsuffering we have a great example of the kind of the patience we’re to practice as we wait for the coming of Christ to make things right. Some of you are in the midst of tough times and when things aren’t going well it’s easy to grow impatient. I mean, it’s easier to wait in traffic when you can see the cars ahead are starting to move. But when you’re stuck and nothing seems to be getting any better the temptation is to lose your cool and set off on your own -- trailblazing your own path through the freeway median. There is one more admonition intended to encourage winning through patient resolve. PATIENT PEOPLE ARE PLAIN TALKERS. Vs 12 seems a little convoluted to our ears but it is related. In the ancient world a pledge or oath was considered sacred. You were invoking the deity to back you up. But he’s just talkin’ because all those things are really outside his control -- even as student body president. And when we get either overly ambitious or frustrated with things it’s a easy to start talkin’ big -- maybe even invoking the name of God to back-up a half-baked hair-brained agenda. So James, once again goes after the loose tongues and says, “Speak with a simple “Yes” or “No...” Otherwise you’ll end up under judgment yourself. 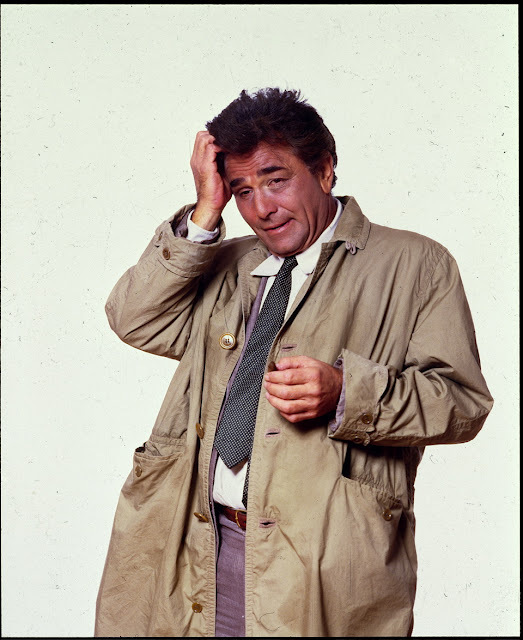 We don’t turn situations around by talking big but through Columbo-style patient resolve waiting for the Lord to make his inevitable appearance. One of the great affirmations of faith in regard to the coming of the Lord is the Apostles’ Creed -- which has its origins the 3rd century Western Church as a baptismal statement -- and eventually took its current form in the 8th or 9th centuries. This is what people were expected to affirm as they were about to be baptized. Just to highlight some of what is in there -- a little church history and theology. And this will be on the test at the end of the semester. It is in three parts -- very Trinitarian. And in regard to Jesus it says that he will come to judge the living and the dead. Connect the dots with what James is saying. That reference is not specific to the Roman Catholic Church -- or any other denomination which may use the word catholic in their name. The term actually pre-dates what became the Roman Catholic machine that started to dominate the Western Church in about the 5th century. “Catholic” refers to the matters which faithful followers of Jesus have held in common in all places and at all times. It ties directly into the ideas of patience and courage. So, I want us to affirm our faith this morning using the ancient words of the Apostles’ Creed.